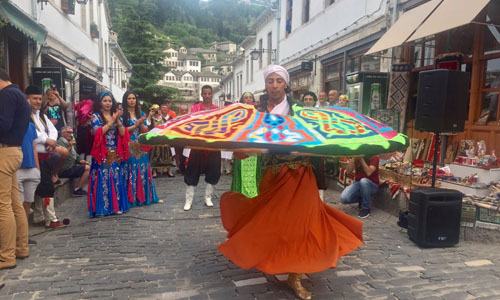 The National Folk Arts Troupe which is affiliated with the Egyptian Ministry of Culture participated in the Reja Cloud festival in Albania last week. 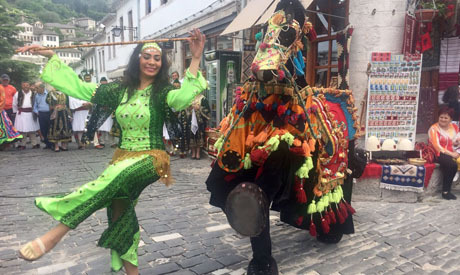 The troupe gave performances in two Albanian cities, the capital, Tirana, on 25 May, and the historic city of Gjirokastra on 26 May. The troupe had great success at its first concert, in the presence of a large audience. The shows were also attended by the ambassadors of many foreign countries and diplomatic missions in Tirana as well as representatives of the media. Youssef said that this participation came upon the initiative of Egypt’s ambassador to Albania, Mohamed Khalil, in coordination with the Foreign Relations Department of the Ministry of Culture in order to introduce Egyptian culture in Albania, as one of the most important pillars in reinforcing relations between the two countries. She added that a number of other countries also participated in the festival, including Slovenia, Germany, Greece, Japan, Australia, Austria, the UK, Hungary, Bosnia, Herzegovina, Switzerland, France, Spain, and Italy.